ρl = ρS · 0.91, without obtaining an overly erroneous result. 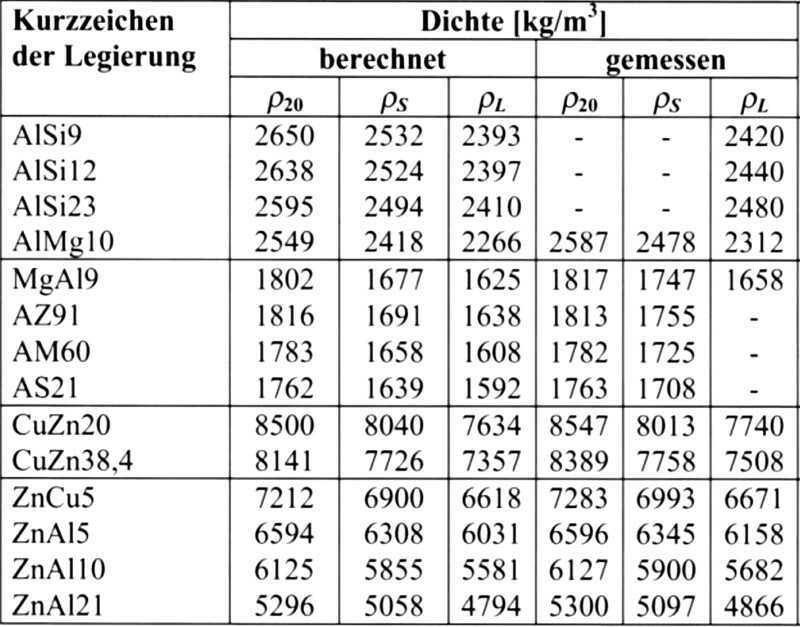 B. Nogowizin performed a literature search for density values of solid- and liquid-state die casting alloys and also calculated such values from the chemical composition; these are listed in Table 1. 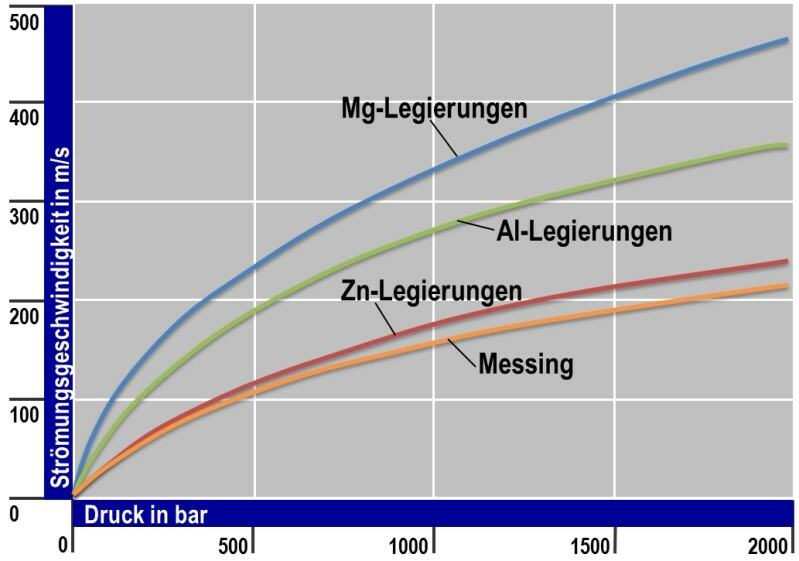 Comparing the die casting alloys based on the metals copper, zinc, aluminum and magnesium reveals a very high influence on the flow rates obtainable at the same pressure due to the different densities (Fig. 1). For the casting materials according to E. Brunhuber, the ratio of the theoretically possible flow rates for the brass : zinc : aluminum : magnesium ratios is approx. 1.0 : 1.1 : 1.8 : 2.2. B. Nogowizin: Druckgusslegierungen und ihre Eigenschaften, Druckguss-Praxis (2003), no. 4, p. 161-168. E. Brunhuber: Praxis der Druckgussfertigung, Fachverlag Schiele & Schön, Berlin 1980.